Nanotechnology offers great potential to revolutionize conventional food science and the food industry. The use of nanotechnology in the food industry promises improved taste, flavor, color, texture, and consistency of foodstuffs and increased absorption and bioavailability of nutraceuticals. Food Nanotechnology: Principles and Applications examines the current state of nanoscale phenomena and processes, benefits and risks of nanotechnology. This work contains 18 chapters particularly focused on the design, production, and utilization of nanoparticles, with specific applications for the food industry. Through several studies, it has been proven that nanotechnology can offer distinct advantages over conventional methods in terms of functionality, targeted delivery of food bioactive compounds, improved food quality characteristics like texture, taste, sensory attributes and improved stability in the gastrointestinal tract, and controlled release profiles. Exploratory in nature, this book presents the latest of such data on all aspects of applications of nanotechnology in food systems. 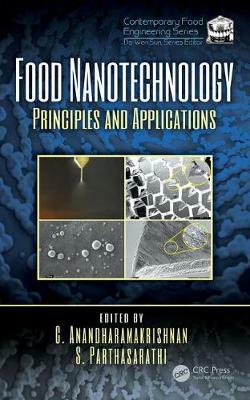 With its practical focus on the fabrication and application of nanotechnology in food, this book is a valuable resource for students, researchers, food process engineers.